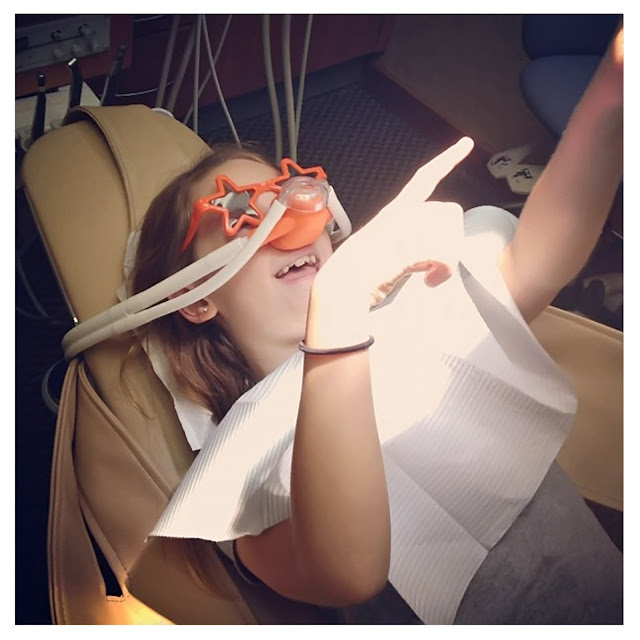 Anna's first time having a filling, complete with "laughing gas"!! She was giggling so hard, the entire staff ended up in the room giggling with her, which of course made her giggle even more. It was quite funny, to say the least.